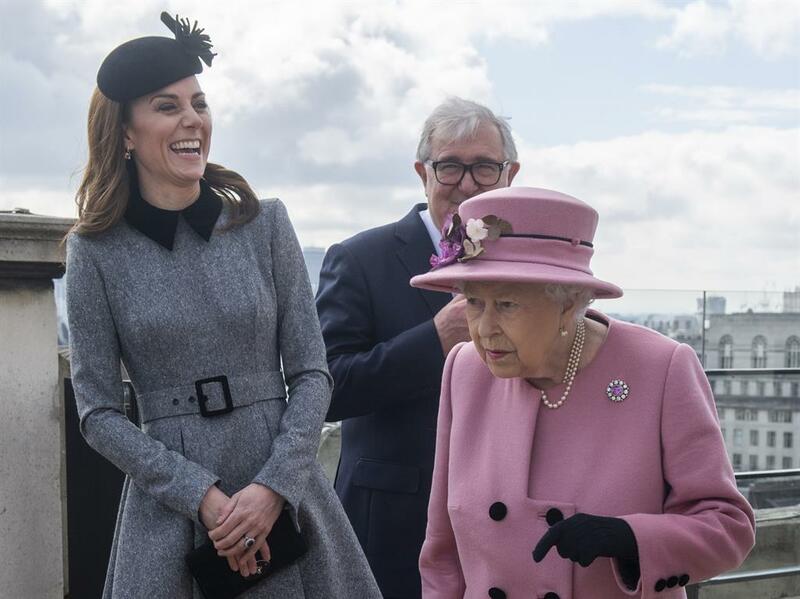 There, the royal mother of three accompanied Queen Elizabeth II as she officially opened Bush House, the latest education and learning facilities on the Strand Campus. Students claimed that they were barred due to their political views from entering King's College London during a visit by the Queen and Duchess of Cambridge. The Duchess was elegant in a grey Catherine Walker coat, believed to be a new bespoke addition to her wardrobe, which she teamed with her new favourite £510 Gianvito Rossi block heels and a black Mulberry clutch (right). With the duchess set to be William's Queen Consort when he takes the throne in future, she's got a good mentor in the 92-year-old monarch. The pair toured the university's facilities, including the faculty's new roof terrace and also viewed a robotics demonstration, including robotic surgery. Do you like to see the Queen out with younger members of the royal family? 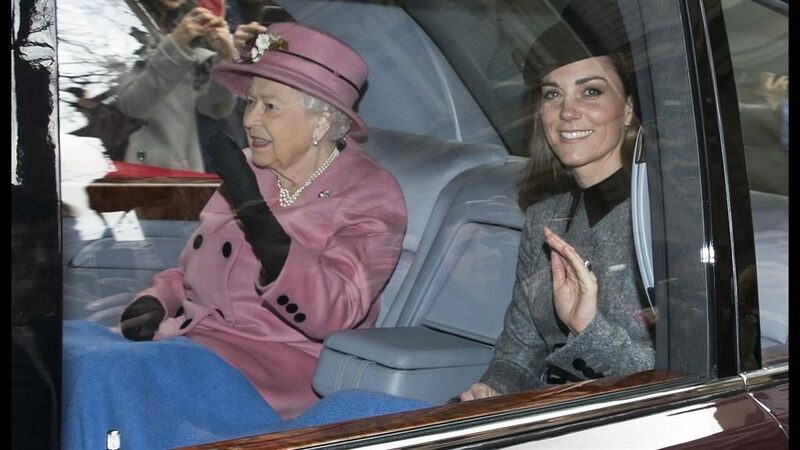 THE Queen and the Duchess of Cambridge had a warm reception yesterday - sharing a blanket en route to their first joint engagement outside palace walls. Meanwhile Queen Elizabeth opted for her own traditional look, a coat dress, this time in bright pink, and a wide-brimmed hat. James noted that while the Queen likes both Kate and Meghan, their relationship's vary greatly: "Kate and the Queen tended to use signals of evenly-based friendship but Meghan and the Queen look more like a grandmother and a much-loved grand-daughter". "We look forward to working with her as we fulfill our mission to inspire people to make positive impact on society through the arts". Her most business causal was during her visit to the Henry Fawcett Children's Centre.